Faherty Law Firm represented a Chester County property owner faced with Sunoco Pipeline information that the pipeline company would buy property rights or take property rights by eminent domain for the Mariner East 2 pipeline. Mike Faherty advised Sunoco of the legal representation by Faherty Law Firm. Sunoco Pipeline decided that property rights by that owner were not needed from that owner. An oil and gas company sought an easement for underground storage of natural gas. The company asserted eminent domain power and offered $2,000. Faherty Law Firm provided representation. Negotiations led to a reduced area of condemnation and payment of $16,000. 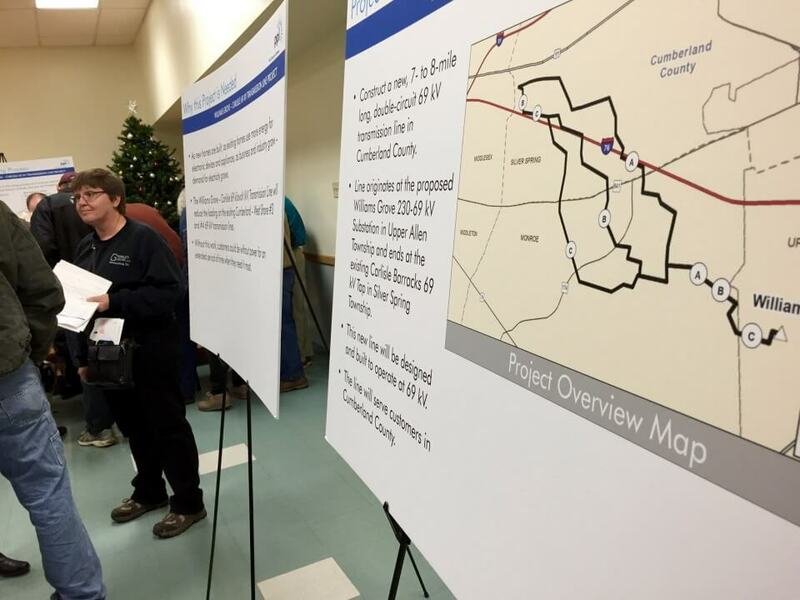 In January 2016 Mike Faherty spoke to a group of Cumberland County property owners threatened by eminent domain for a proposed new 69-kilovolt transmission line. Mike reviewed potential alternative routes including an existing nearby right of way corridor. Mike pointed out that the announced PPL method for calculating damages fails to comply with the required method per the Pennsylvania Eminent Domain Code. The group will challenge public need for the project. Litigation is progressing concerning the Sunoco Pipeline efforts to take property by eminent domain for the proposed Mariner East 2 pipeline. 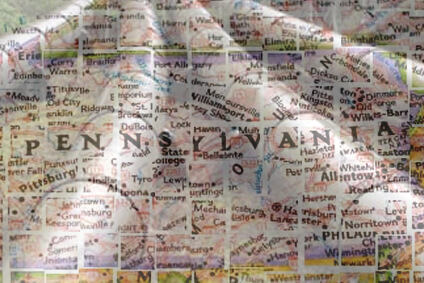 In 2014 the Mike Faherty litigation of Sunoco v. Loper resulted in a decision in York County, that Sunoco does not have the eminent domain power. That decision was not appealed and became final. Afterwards, Sunoco described a plan to add onloading and offloading locations in Pennsylvania. That plan has recently convinced Judges in Cumberland, Washington and Northumberland Counties to approve eminent domain power. All of those decisions referenced within state service as approved by the PA Public Utility Commission. All of those decisions are, or will be, appealed. Pennsylvania is being crisscrossed by multiple gas pipelines as a result of the Marcellus Shale drilling. The pipelines are generally transmission lines with little or no opportunity for local service. Thus, property owners obtain the harms without the service. The extent of the harm is subjective and variable. For example, an upscale suburban home with a pipeline crossing near the front of the home would suffer a higher percentage of lost value, than a property of vacant forests. A Lancaster County realtor found harms of 5% to 40%. Owners should be skeptical of land agent arguments of no or minimal harm. 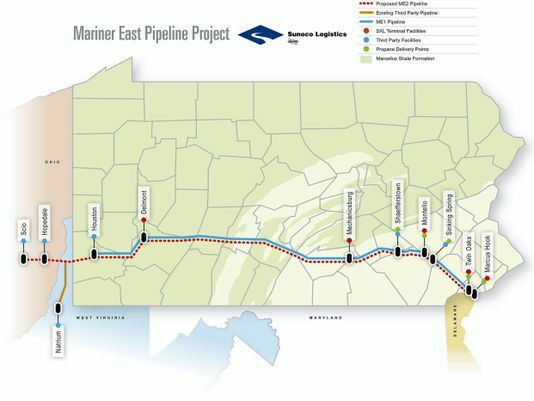 Photo caption: The Mariner East Pipeline project routes ethane and propane from Ohio, West Virginia and western Pennsylvania to a processing station in Marcus Hook.